Centerra Gold’s Mount Milligan mine is a gold-copper-porphyry deposit located in central British Columbia, Canada. The results from this blast at Mount Milligan (shown right) demonstrate the value created from blast monitoring. Significant movement occurs within all blasts. Variation of ±50% from the mean horizontal movement is common and occurred in this blast. 3. Calculated using BMM System- and Centerra Gold-supplied data. 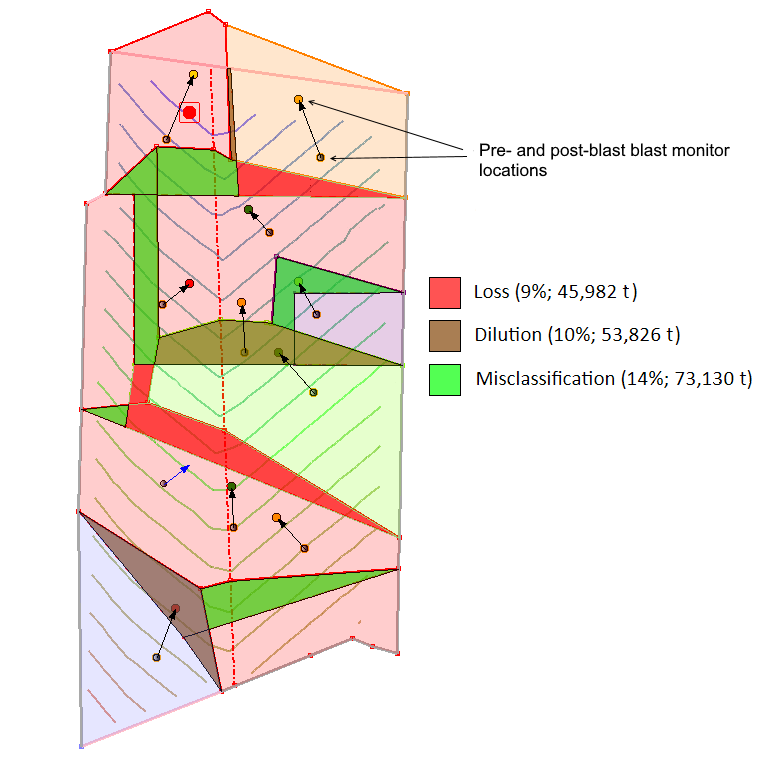 reducing ore loss, dilution and misclassification of differing grade ore bodies.